At Markovina Estate we have amazing outdoor areas, so choosing a luncheon or afternoon event is well worth considering. 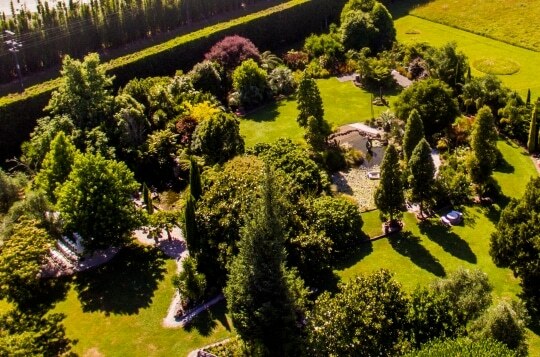 We are located in Kumeu on a 10 acre property, with extensive garden facilities and pond features it is a beautiful property to simply relax at while enjoying a glass or wine and canapes. Throughout the estate are a number of petanque areas plus croquet & giant jenga available. Our estate has expansive gardens for guests to relax and enjoy. Area to escape or simply find a tree to have shade from the sun while enjoying a relaxing drink. We have multiple areas that you can escape to or have different activities in different spaces. We have four different pond features onsite to help set the ambiance your afternoon with us. Included as part of all our packages is use of our grounds. We also offer petanque, croquet & giant jenga to help keep our guests occupied. You are also welcome to arrange other activities, we have had some highly entertaining inflatable activities including sumo wrestler suits, gladiator stages & adult bouncy castles. 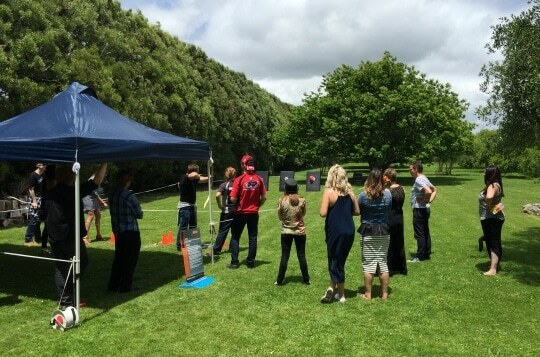 Also a fun option is to arrange archery activities. A great ice breaker and excellent for testing your skills. As standard for any combined events is our popular buffet meal, known as our Dine & Dance menu. We ensure that we give the same high quality meal for our luncheon events as we do for our evening events. A great summer option is our Gourmet BBQ menu, giving a huge selection of quality meats and vegetarian options this menu is a great option for a more casual afternoon event. Available when booking an exclusive event at our venue. It doesn’t matter what you call it, our nibbles menu throughout your stay ensures that your guests can continue to mix and mingle while we ensure that there is ample for everyone to have plenty of great food. Available for our exclusive bookings. If you are wanting to get away from the traditional buffet but still want a sit down event, our platter service to your table is a great option. Shared platters are served that guests can simply choose what they want without having to go to a formal buffet. If you are looking at something a little more formal, a plated meal is a great choice. Like all our menus our plated meal includes canapes & dessert. Available for exclusive bookings. As standard with our inclusive packages we include a four hour beverage package, this means that your wine, beer and non alcoholic refreshments are all included as part of your package. We serve a selection of wines from Matua, we include Heineken, Carlsberg, Speights, Lion Red & Amstel Light. Also included is juice, soft drinks and water. 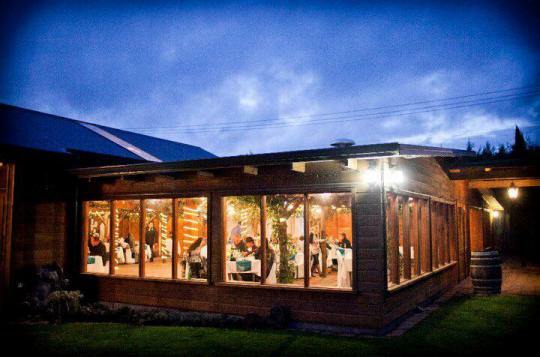 At our venue we have two key spaces, our main events room where your guests are dining under a canopy of vines. This space is fully indoors but with large glass windows so guests can gaze out into the gardens to enjoy the ambiance of the outdoor spaces. We also have an amazing wet weather covered courtyard, this space is enclosed with glass and glass sliders. So on a hot summers day we can open our huge sliders so guests have a true alfresco dining experience. 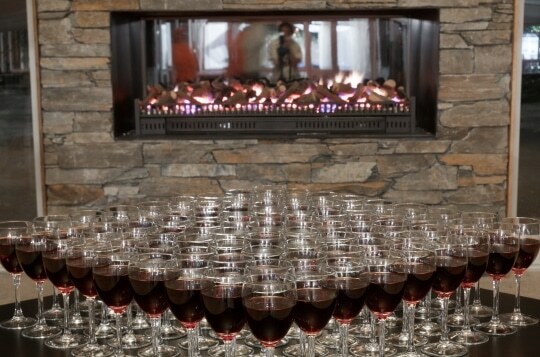 On a cold winters day we can close up the venue and start our huge stone fireplace. A truly magnificent space. 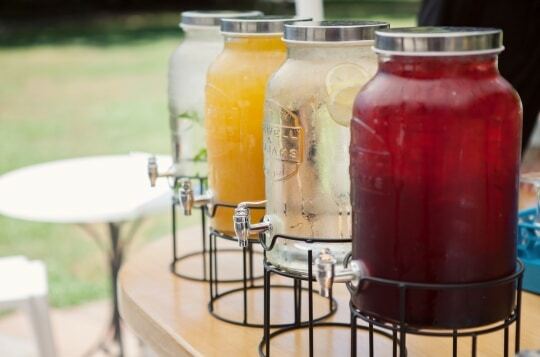 Do you have a garden bar open? Yes we have a bar setup in our outdoor covered courtyard which is close for you and your guests to enjoy a drink from. Do you open as a cafe? No, sorry we only open for booked events. However during the lead up to Christmas we have a number of dates that are opened as combined Christmas afternoon function. That means that you can book a table of 10 or more. Do you have any garden activities or games? Yes, we have a number of petanque courts around the gardens and we also have giant jenga and croquet available on request.